Families are invited to celebrate Easter Saturday at Darwin Waterfront with free family fun and a chance to meet the Easter Bunny from 10am to 2pm on Saturday 26 March 2016. A variety of activities will take place on the lawns including Easter art and craft; face painting, balloon twisting, jumping castles, water slides and a live DJ. 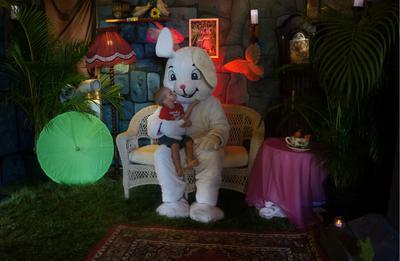 The Easter Bunny will be hopping in for a photo along with chocolate eggs and inflatable balloon giveaways for everyone. Visit www.waterfront.nt.gov.au/events for more information.